Orangevale is part of Sacramento County and is best known for incredible views of the Sierra Nevada mountain range. As a result, Orangevale is a popular area for bicyclists. Because of this, bicyclists are often forced to share certain roadways with cars, trucks and SUVs. This creates the risk of serious collisions occurring between a bicyclist and motorist on busy roads like Greenback Lane, Hazel Avenue, or Madison Avenue. It is an unfortunate truth – bicyclists are at a much higher risk of suffering an injury in an accident with a motorist in California. California leads the country in the percentage of cyclists involved in accidents with motorists. In fact, only six states (including California) accounted for more than 50 percent of all cycling traffic death between 2010 and 2012. In California, approximately 338 bicyclists lost their lives in collisions with motorists in 2012, the highest total in the entire country. Make sure the police are contacted. In every state, there are certain laws in place that limit the amount of time an injured party has to file a lawsuit against the party they allege caused their injuries. This is known as the statute of limitations. Under California Code of Civil Procedure § 335.1, an injured bicyclist two years to file a lawsuit, starting from the date of the accident. This is why it is so important to take action sooner rather than later. I’m Ed Smith, an Orangevale Bicycle Accident Lawyer. 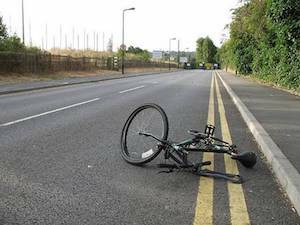 When a bicyclist is involved in an accident with a motor vehicle, the consequences can be devastating. Please do not hesitate to contact me right away if you or your loved one has been injured- your recovery could depend on prompt action. I can be reached at 916.921.6400, and online for free and friendly advice. Visit AutoAccident.com for more information. I have served the Orangevale and Greater Sacramento region since 1982, assisting injured parties with their legal recovery efforts. Read up on my former clients’ reviews posted to: Avvo, Yelp and Google. Membership to the Million Dollar Forum is reserved for attorneys with million-dollar awards and judgments. Browse through some of my past Verdicts and Settlements posted in summary to my website.